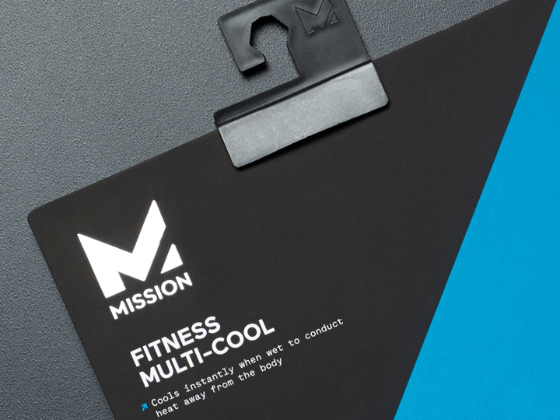 This packaging was for the Spring 2017 launch of MISSION's apparel and cooling accessories lines. 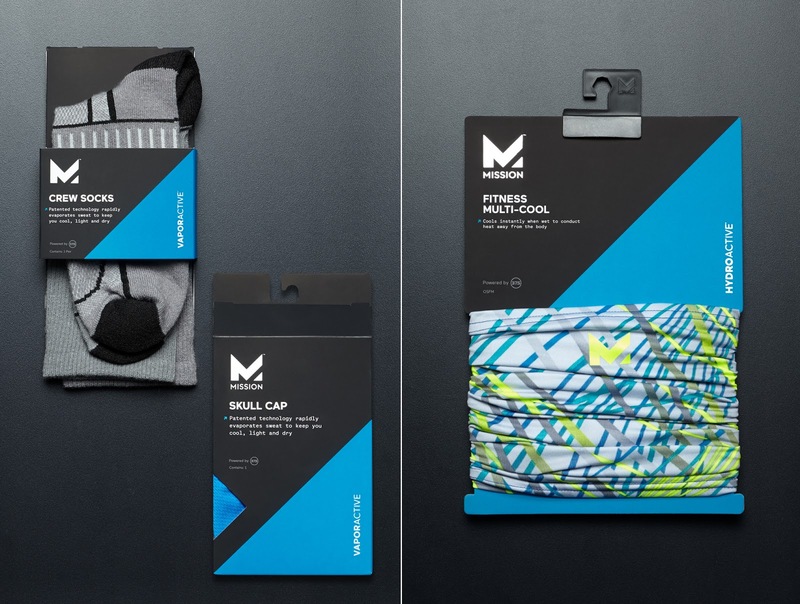 We explored a range of packaging solutions to properly display our sporting products (ranging from a cooling towel to a neck gaiter to socks) and showcase the unique colors and prints. 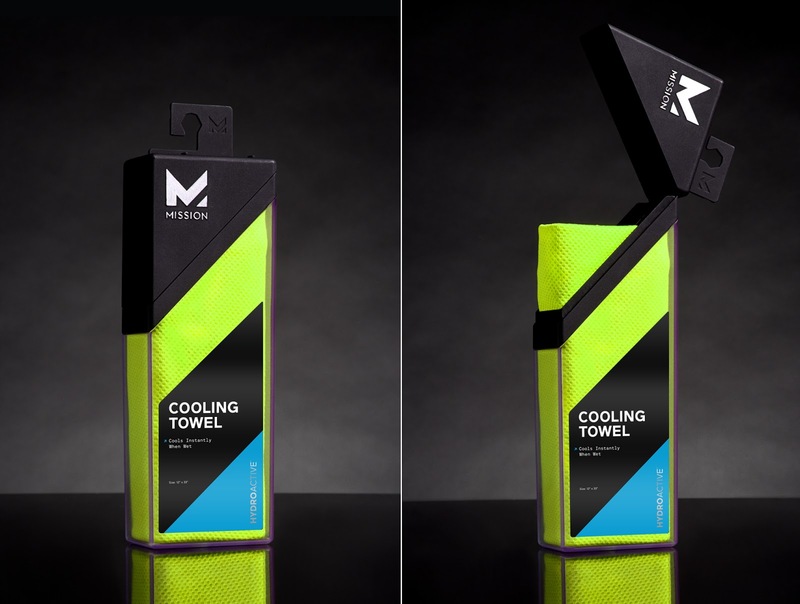 For the cooling towel, a new structure with a unique hinged cap that mimicks the triangle within the Mission logo was designed and molded to display the towel. The cap also features a 3D pad-printed logo in MISSION silver. Apparel hangtag consists of two inserts within a branded jacket. Each insert tells a unique story: the first card outlines the tech story, while the second card houses the brand story. 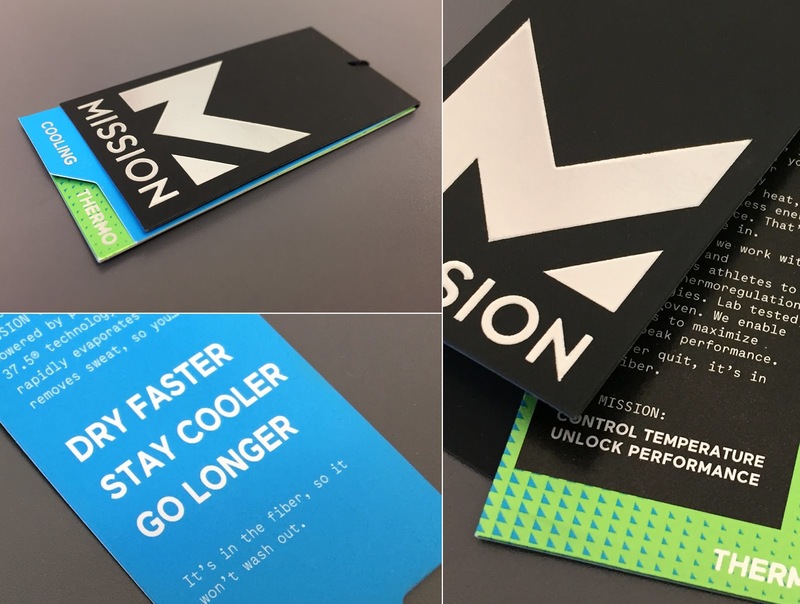 The clean, black jacket, features a heroic, foil-stamped MISSION logo on the outer jacket with a soft-touch coating to help juxtapose the the materials- which also features a metallic-paper card insert on the interior. 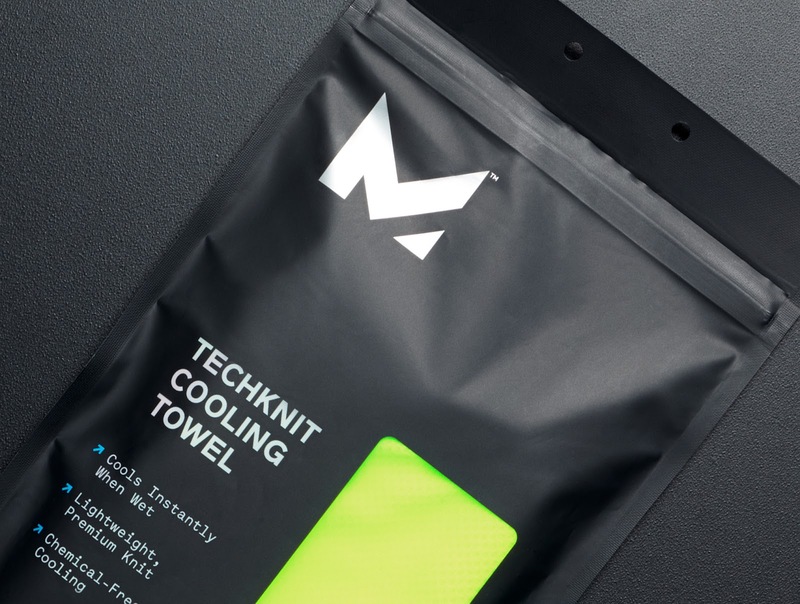 All accessories (socks, helmet liner, neck gaiter) were printed with a soft-touch coating and foil-stamped MISSION logo to carry out the branded visual throughout the line. Unique shapes and printing materials mixing soft touch coating with foil-stamping and spot UV gloss.